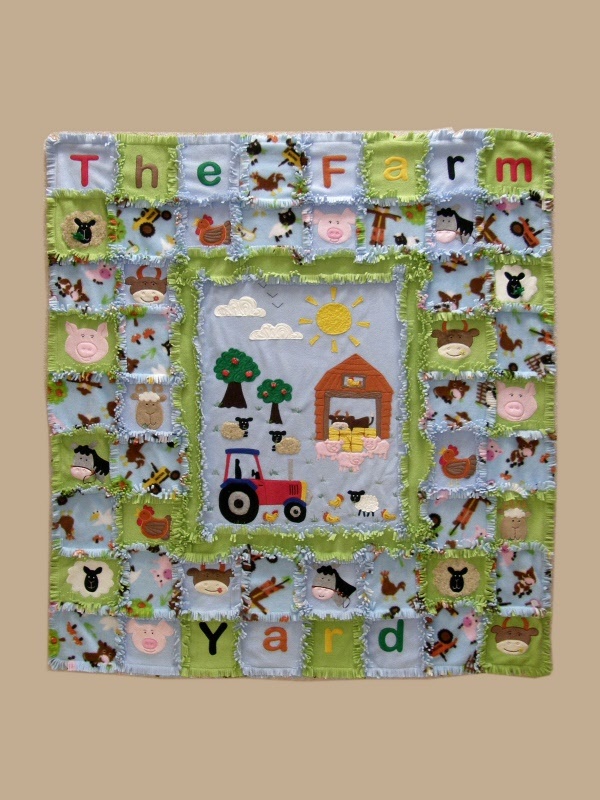 Gail Penberthy has done it again with this magnificent farmyard fleece quilt. This one is the latest in the fun series of fleece quilts that she has designed. You get all of the templates for the farm as well as the animals and if you have never worked in fleece before, then you are in for a treat as it is super soft and lovely to sew through. Please note however, that Gail did incorporate a fleece that had farm animals on it, which is no longer made, however, this will not affect the design of your quilt. The farm quilt measures approximately 50 x 56 inches.